The average price for a gallon of regular gas in the US has increased for 35 days straight. Gas prices have increased over 32 cents per gallon since March 22, 2011. The current average price for a gallon of self-serve regular gasoline is $3.86, according to AAA. This is up over 3 cents from a week ago, 29 cents from30 days ago and $1.01 from one year ago. Drivers in most states will likely continue to see gas prices continue to increase over the next few months for several reasons. Gas companies are currently in the process of changing from winter-blend to summer-blend gasoline, which is more expensive. Oil is holding its high price at over $112 a barrel. Yesterday three Texas oil refineries lost power, which will drive prices even higher. Oil analyst Tom Kloza says the shutdowns may have cut off 300,000 barrels of daily production. Increasing reports of violence in several oil-producing regions of the Middle East and Africa are fueling the uncertainty of future global supply and subsequently putting upward pressure on crude oil prices. The value of the US dollar has been declining recently, which pushes gas prices higher. Investors are waiting to hear what the Federal Reserve is going to say about interest rates and the economy. The expectation is that the central bank will keep interest rates where they are now, near zero. 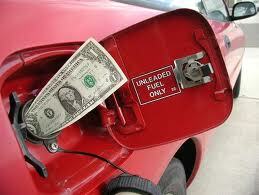 However, some experts say that Americans will be driving less this year, due to the high cost of fuel. This may help to push prices back down. If your job or business is being effected by rising gas prices, you may want to consider investing in a fleet GPS tracking system. A GPS fleet tracking system can help your company save time, money and and fuel. Lower gas bills means higher profits. For a fleet of 25 vehicles, idling time reduced by only 15 minutes per day can result in fuel savings of 562.5 gallons at a cost of about $2,171 per year at current gas prices. If you reduce idling time by 60 minutes, it would result in a fuel savings of 2,250 gallons at a cost of over $8,686 per year!